North Americans metaphorically say they’re “going to punt” and people not familiar with American and Canadian Football can be unclear about what they mean. In the UK, “punt” means many things (such as pushing a boat with a stick or visiting a prostitute), but not the North American metaphorical sense. Loosely put, to punt means to play it safe by not trying something risky that could leave you worse off. In football, it’s kicking the ball into a better field position instead of staying where you are and fighting because if you stay and fight you might lose and your opponent will have you in a bad field position. You punt when your back is to the wall, on your last “down” or opportunity to do something before the opponent automatically gets the ball. 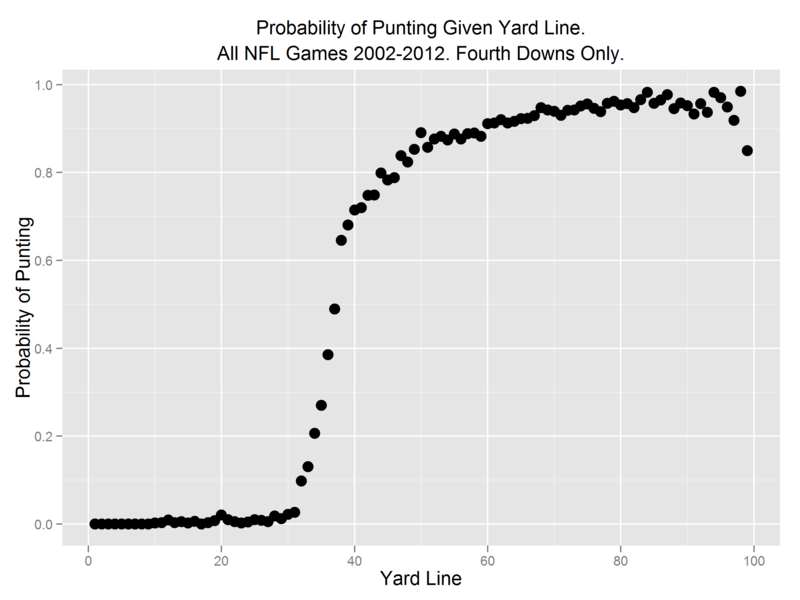 Higher risk alternatives to punting are passing or running with the ball. When close to the opponent’s goal, an alternative is trying to kick a field goal. [I realize that’s a bad description but maybe we can crowdsource a better one]. 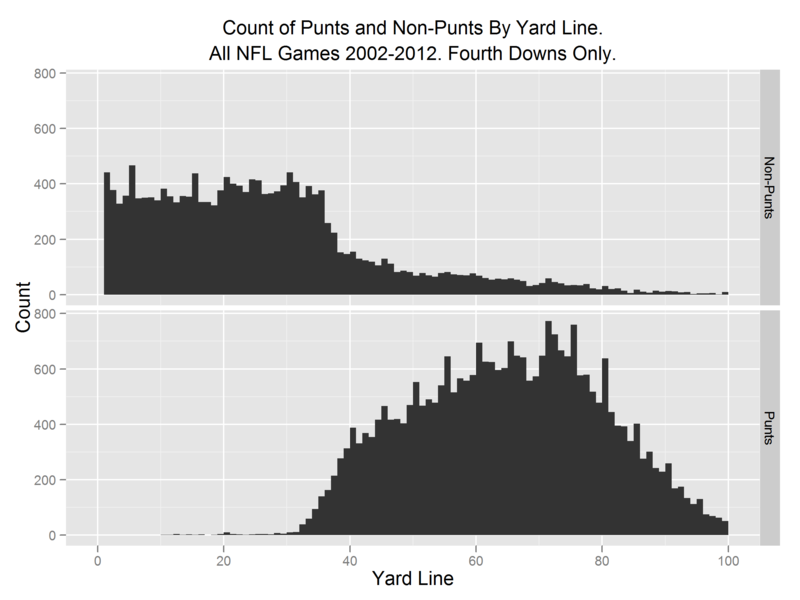 We made some graphs of the punting decision and found some beauty in these strategic behavior data. 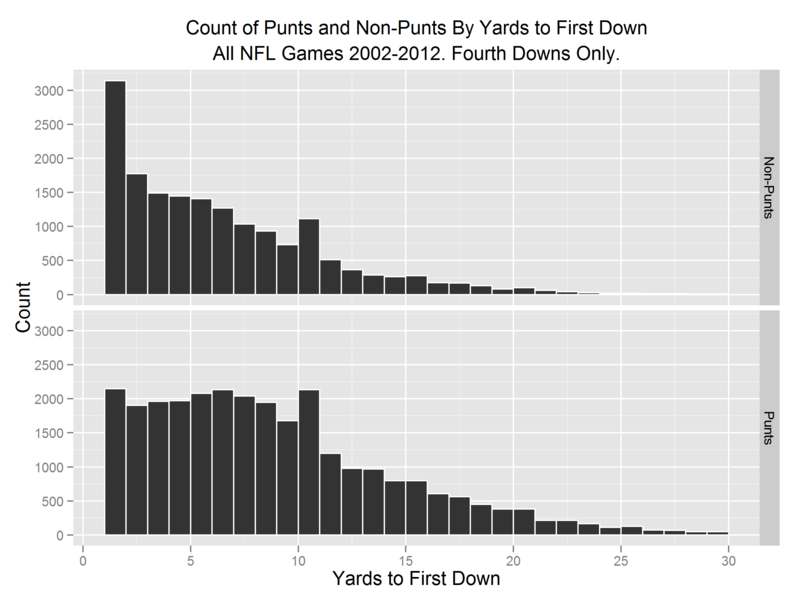 Thanks to the reddit post and Advanced NFL Stats, as well as to the open source R language and Hadley Wickham‘s ggplot2. 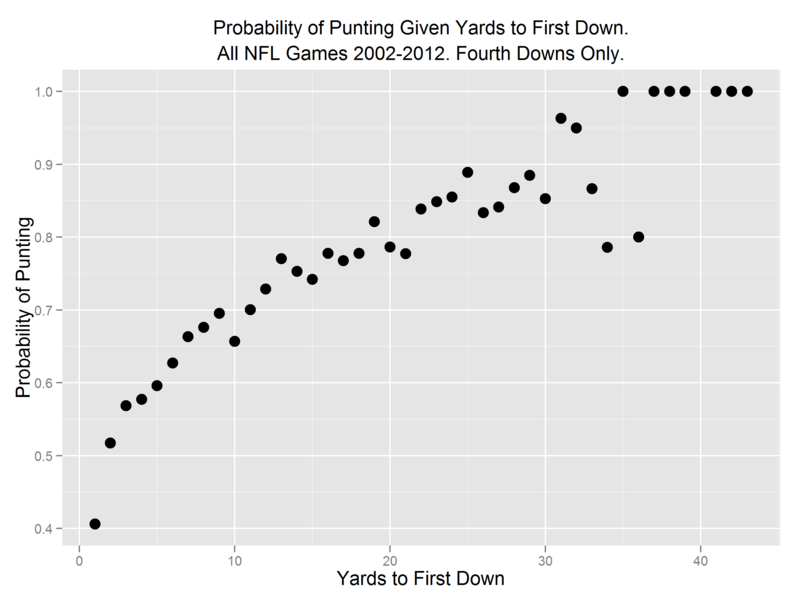 The post Every NFL punt since 2002 appeared first on Decision Science News.